I am back on my plan, I started back on it last Monday after a few weeks of being a bit more relaxed. I thought maybe a week or 2 sticking to what I am allowed to eat but then not being focused on when and how much I should eat might give my weight loss a boost when I start up again. Back in August 2018 I started The Blood Sugar Diet wrote by Dr Michael Mosley. My starting weight was 18st 11, way to big but at the time i was in a very dark place and didn't care. I needed a diet that would work for me as have tried everything, this diet works quick once you get through the Carb Flu. Carb Flu usually happens around the 4th or 5th day of the plan, it can last a couple of days but once you are over these days you start to feel really good. Carb Flu is you feeling tired, drained which usually comes with a headache, this is due to your body withdrawing from Carbohydrates & sugar. Its well worth continuing as from then onwards the plan is easy to follow and your body adjusts. I stuck to the 8 weeks on 800 calories losing over 2 stone and feeling better than i had for a very long time. 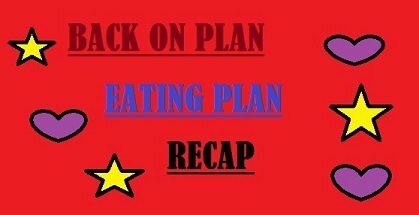 i then carried on to the next part of the plan 5 - 2, that's 5 days of eating normally then 2 days fasting with 500 calories where i lost lore weight taking me down to 15st... I have yo - yoed for quite a while but never getting into the lower stone. Then to make it even harder Christmas turned up, I still stuck to the plan following what i could eat and not eating much of what I shouldn't. I did OK as got through Christmas & New Year with only a 3lb gain. 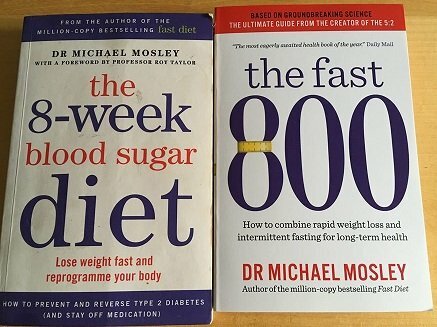 The Dr Michael Mosley re -wrote the book which is now called The Fast 800. II have been back on plan for a week now, weigh in day was today and sorry if you heard me scream, I frightened my daughter. She thought one of the dogs was ill.
Back on plan for a week, i step on the scales praying they were my friend. Was that photo big enough 😊, Can you tell how surprised and how happy i am, I haven't been in the 14s for around 10 years. That is a total of 53lbs in 8 months. Now i have to work down to the next stone, that scream might be deafening. 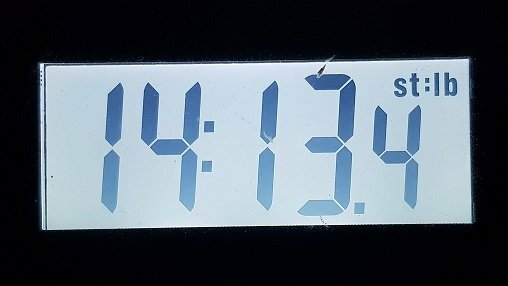 I am getting nearer to my 12st 3lb goal, once I am there |I intend to go even further, that's the goal I have set, once I am there I should be a lot fitter. Now I see your cunning master plan. 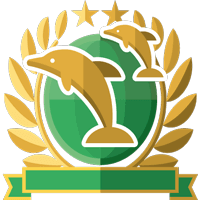 Give your extra weight to your minnow and make it grow to a dolphin.